When residents in Stockland Green grew fed up with the eyesore and nuisance created by illegal dumping in an alleyway between George Road and Neville Road, rather than bemoan the injustice of illegal fly tipping, they rolled up their sleeves and literally got their hands dirty. Residents led a monumental effort which has seen the site transformed into an area which compliments the nearby Brookvale Park rather than one which detracted from its status as one of the best loved parks in north Birmingham. For many years, the land, which is a public right of way, has been a blight on the lives of residents but by bandying together and asking for help from local organisation, Stockland Green Opportunity Housing and Training, the site is now one which attracts widespread compliments and congratulations. Cheryl Dockery, Chief Officer of Highcroft Community Centre, said “Our Partnerships and Development Officer was able to co-ordinate things and we are delighted that we have been able to help. . We were able to liaise with the Community Payback service who helped to clear the site alongside Parade Civil Engineering who provided a JCB and driver free of charge. The residents were brilliant and the compliments that have been received have been really supportive – they’re thinking of spreading wild flower seeds to make the area even better”. As with most community led projects, the benefits extend beyond what the eye can see. “The clearance brought people out of their houses. 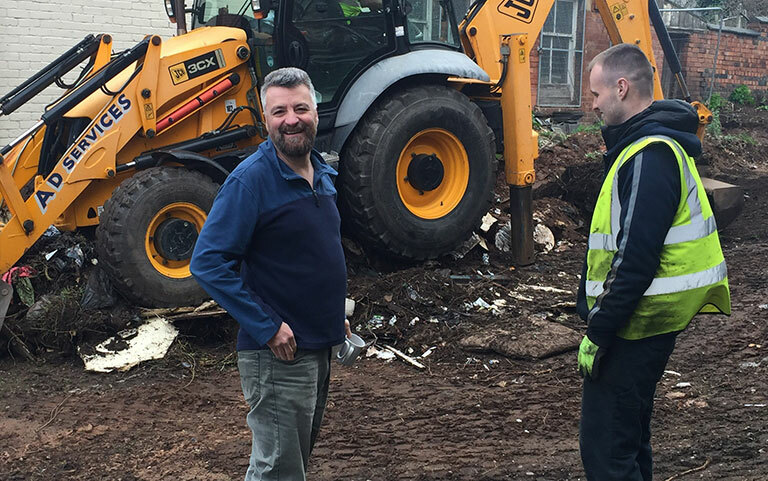 Whilst living with the dumping was horrendous, by tackling it, we’ve forged introductions and friendships which we wouldn’t otherwise have done”, said Glenn. “It’s given us the impetus to do more as a community”.